Luang Prabang was less touristy than Vang Vieng. It seemed more religious, quit, reserved. 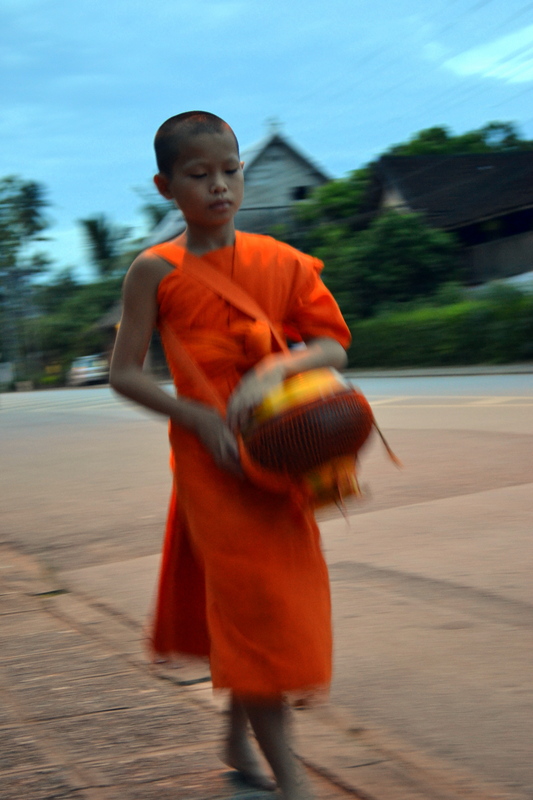 On Day 23, we arrived at Luang Prabang from Vang Vieng by bus. We had a nice dinner and went to the night market. The night market at Luang Prabang is really good! If you ever visit SE Asia, never ever pay full price for anything in markets and stalls! The rule is to offer half the amount the seller asks for and then haggle from that. 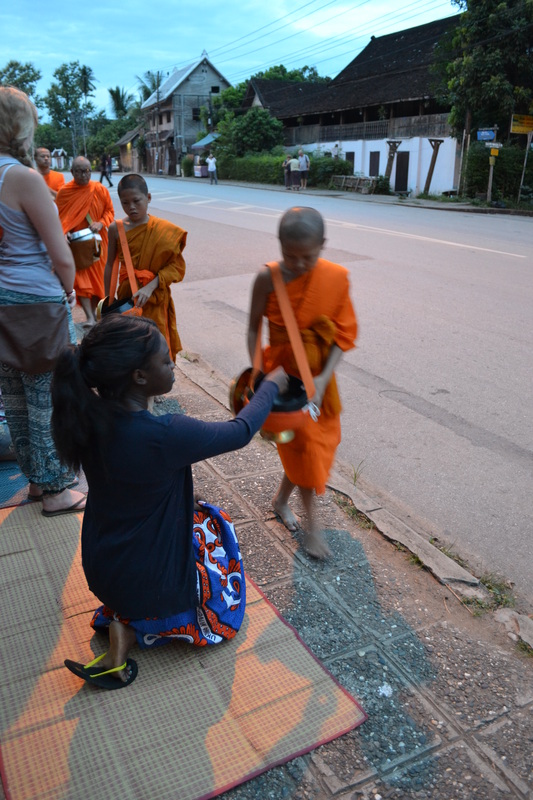 At 5am on Day 24, we woke up to give alms to the monk. I never knew about this tradition before this. 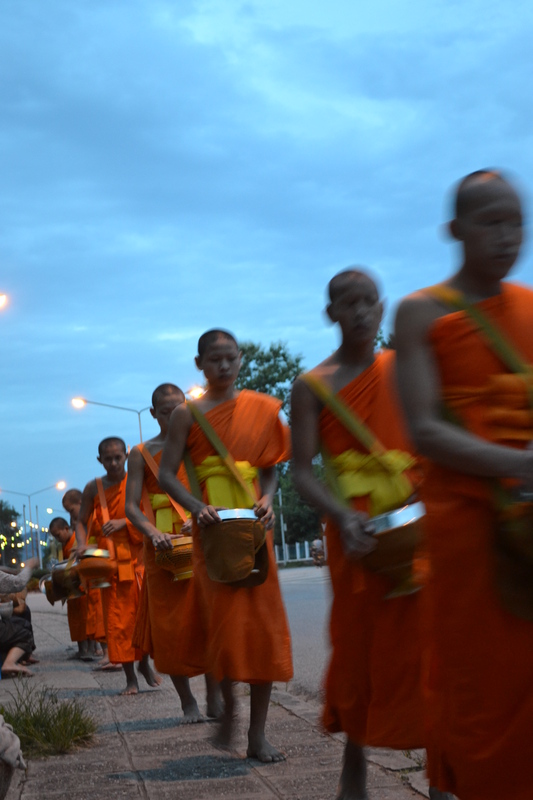 The monks collect alms every morning at about 5am and that is all the food they are allowed to eat for the day. I peeped into their baskets and saw all sorts from medicine to rice. I decided to spice up their diet a little with some Kit Kat. 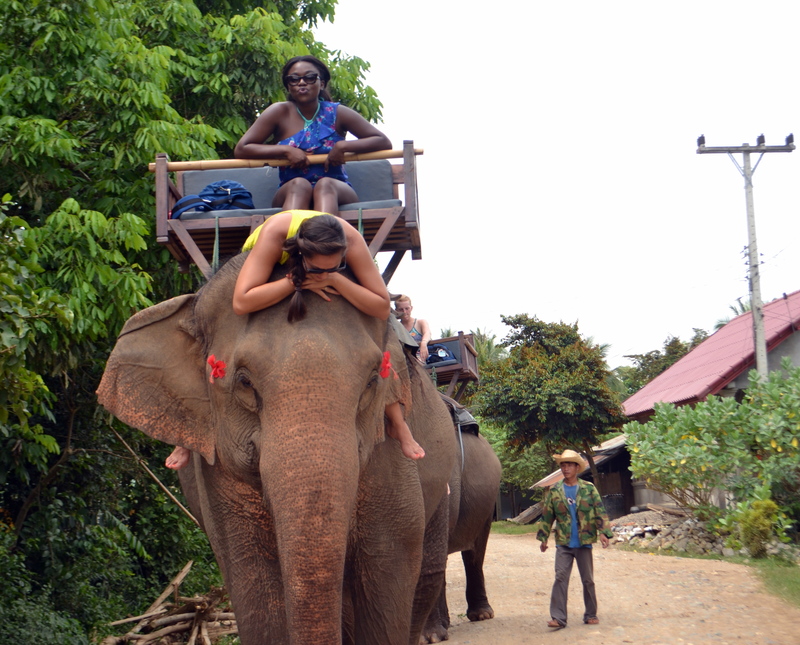 The rest of the day was spent with elephants. 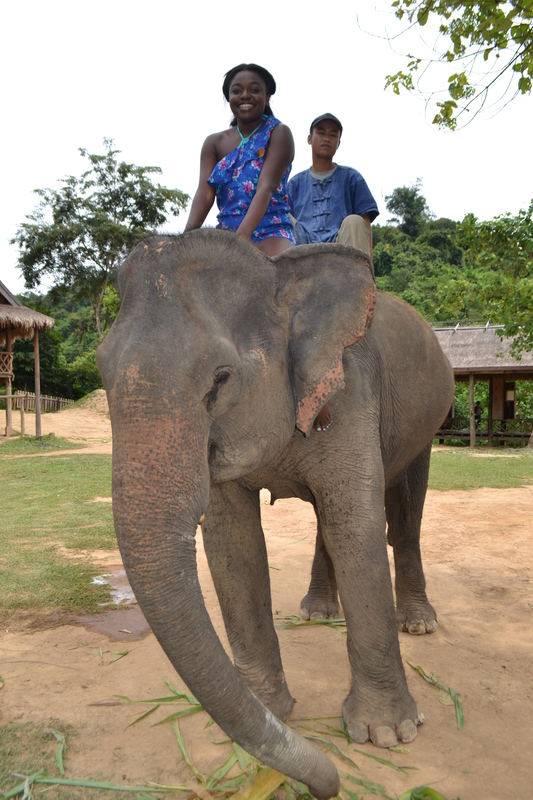 We were trained on how to climb onto them and then we rode and bathed the elephants. 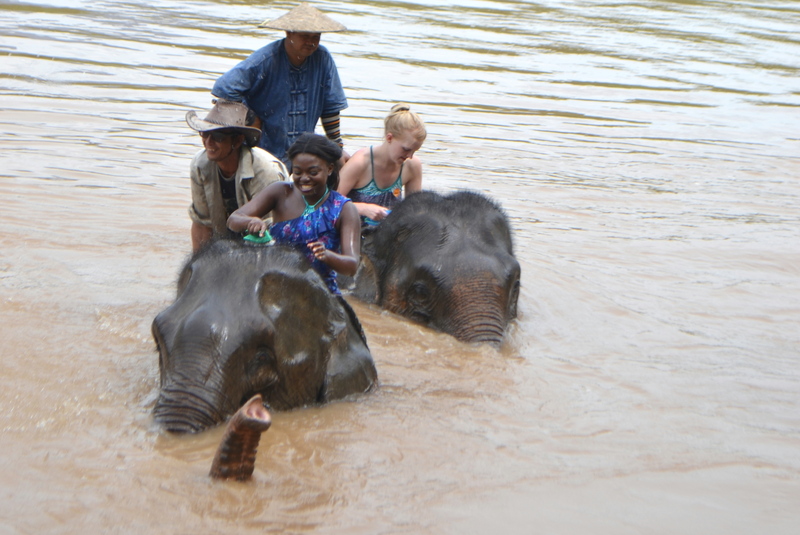 Uncategorized | Tagged: elephant, holiday, laos, luang prabang, mirrorme, night market, travel | 2 responses.